Home / Medical Cannabis Guide / When is THC Required in Medical Treatment? Though CBD, terpenes, alkaloids and other substances found in hemp are beneficial for many disorders and conditions, the THC in marijuana works in conjunction with the CBD to intensify their healing properties. Additionally, most strains of marijuana contain a significant amount of cannabidiol. This CBD helps to balance the psychoactive properties of the THC. Both CBD and THC reduce inflammation and help control pain. There are, however, conditions that need the THC to control or alleviate a symptom. The THC in marijuana attaches to CB1 receptors in different parts of the brain, causing both favorable and adverse results. The amount of THC and CBD in medical marijuana is balanced according to how much THC is needed for therapeutic results. 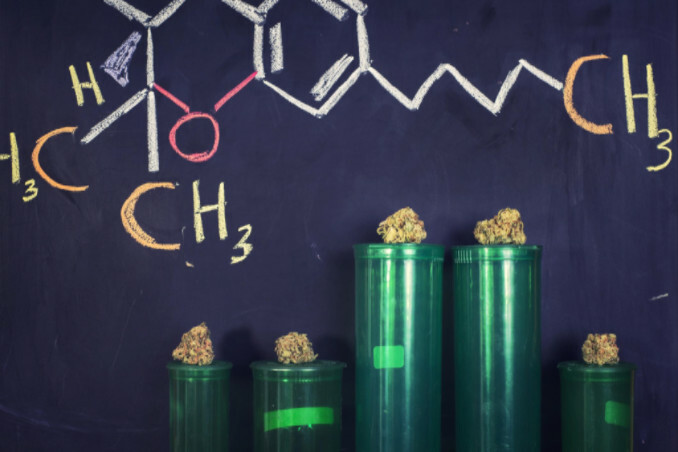 The future is also promising when it comes to THC-rich cannabis’ potential in treating autoimmune conditions such as fibromyalgia, lupus, arthritis and Muscular Sclerosis. We know that cannabis can help relieve the pain of these conditions, and marijuana has a positive impact on the anxiety associated with them as well. There is ongoing research indicating that THC may hold the key to remission or prevention of some autoimmune conditions. THC influences the microRNA molecules responsible for many autoimmune conditions. The use of marijuana is not legal at the national level. Marijuana and hemp use and cultivation fall under State jurisdiction. Currently 24 states allow medical marijuana usage. Each state has specific provisions for its use. Hopefully, continued research and public awareness will result in easier access for those who can benefit from medical marijuana and cannabis. If there are concerns with side-effect or contraindications with other medications, a medical professional should always be consulted.